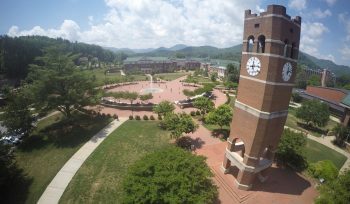 Welcome back to another episode of the WCU PodCats. This week Josh and Patrick are joined by Molly Tippett, Assistant Director of Undergraduate Admission, to discuss their favorite off-campus places and location. The trio covers everything from places to eat, places to visit, to places to play and stay. We hope you decide to download, subscribe, and rate the show on iTunes or connect with us on Facebook (WCU Podcats) or Twitter (WCUPodcats); as always, we hope you enjoy the show and Go Cats!